May 8, 1977 is a date most Deadheads are familiar with and many adore for the show performed that day at Barton Hall at Cornell University. Last year marked the 40th anniversary of that show with an official mastered release of the Betty Board tapes from the show (and a few others from the Dead’s early May ’77 run). Numerous venues also hosted listening parties and other events, the most unique being a live performance by the Cornell Chimes atop the McGraw Tower. 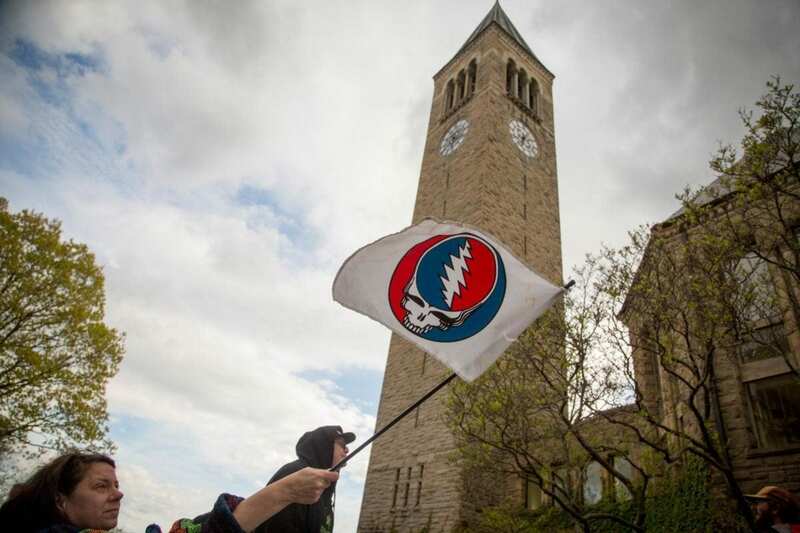 For a second year in a row, the Chimes will be ringing out the tunes of the Grateful Dead in a concert that can be enjoyed on campus (with a promise of fair weather this year) or streamed online. 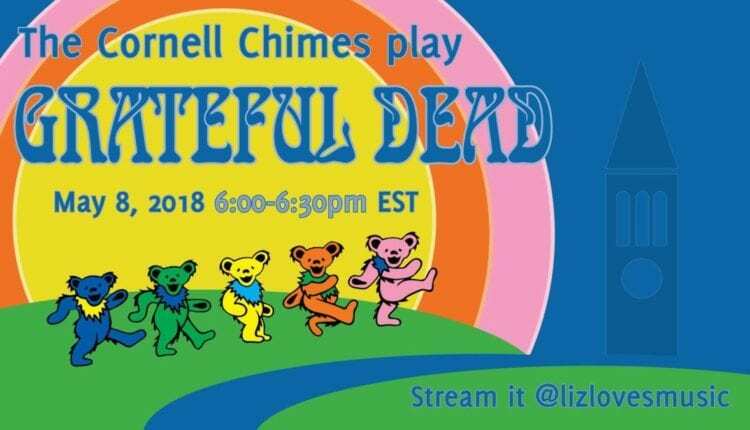 It is set for Tuesday, May 8 at 6 p.m.
Last year’s event, which at first was simply a request for the Chimes to arrange one Grateful Dead tune, turned into something much greater – a full half hour concert and a proclamation making May 8, 2017 Grateful Dead Day in the City of Ithaca. 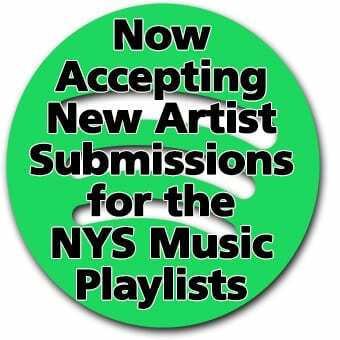 “[The Chimes] were surprised by how many people tuned in to the live stream and gathered on campus even though it was only 35 degrees out,” said Liz Field in an interview for WVBR and NYS Music, who works for Cornell and had the idea for last year’s event. Riding on the success of the 2017 celebration, Field said that the Chimesmasters were excited about the idea of doing it again this year. The Chimes concert will feature the same arrangements as last year’s performance with three new arrangements which will be kept a secret until shortly before the concert. It isn’t certain if the Cornell Chimes will turn this into an annual event; however they now have several Grateful Dead arrangements in their library which could be heard into the future. 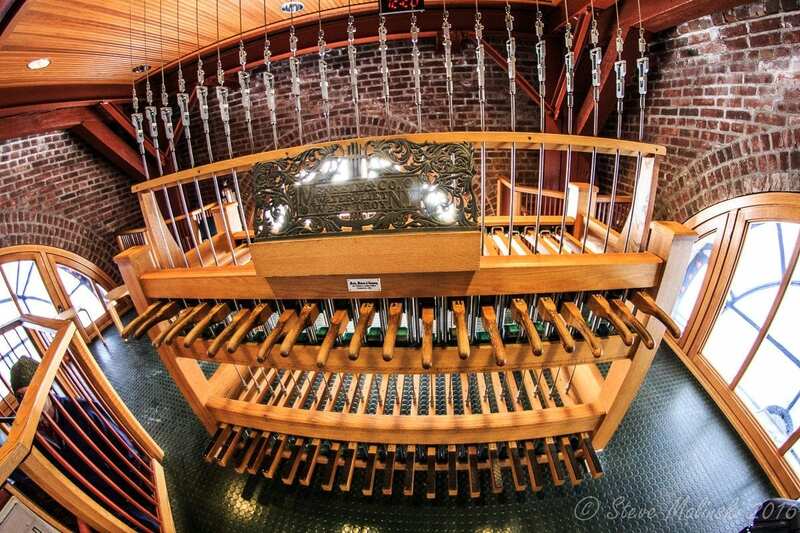 The Chimes, which has a long history at Cornell dating back to the university’s 1868 opening ceremonies, performs three fifteen-minute concerts each day during the academic year and takes song requests from visitors to the tower. The event can be streamed live online, starting around 5:45pm with the concert starting at 6pm. A link to the stream will be posted on the event’s Facebook page and on Twitter the day of and video recordings will be posted on YouTube after the event. The McGraw Tower will be closed to visitors for this special concert, however there is plenty of space on the lawn for people to gather and enjoy the show.